Drain and store 30 gallon and 55 gallon drums. One worker can load the double welded Rock-It with safety and ease. 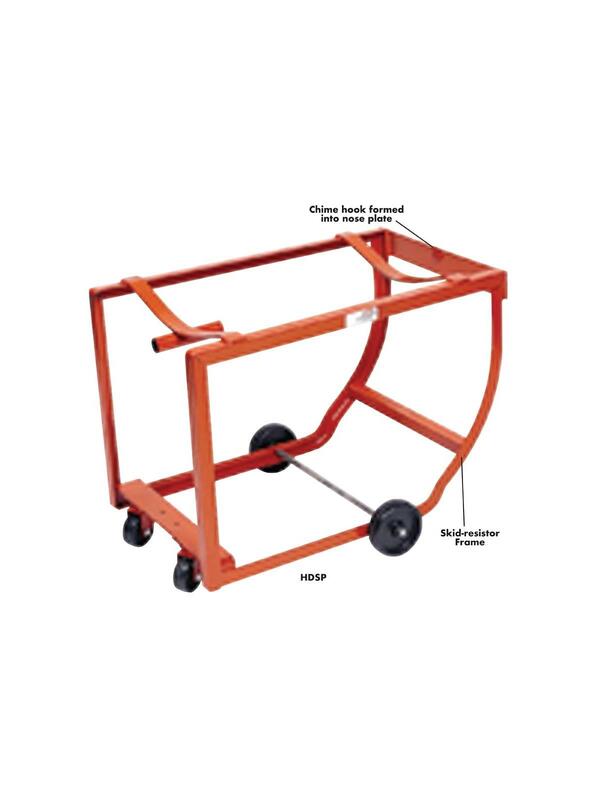 Skid-resistor frame eliminates the possibility of the unit sliding away while loading, making this one of the safest units of its kind. The chime hook formed into the nose plate hooks over the barrel chime eliminating the danger of the barrel sliding off during loading. 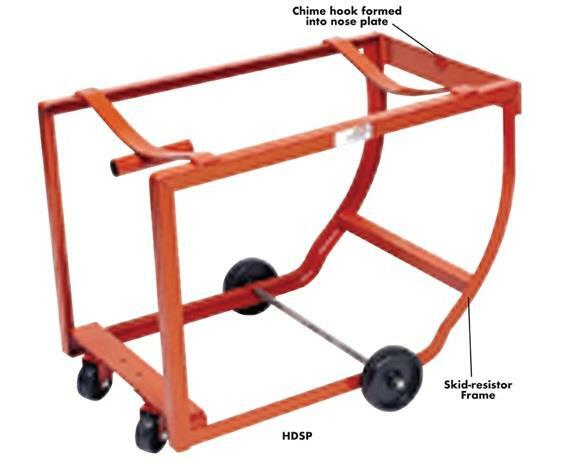 The HDS1, not equipped with wheels, is ideal for inexpensive permanent storage. Available with or without Zinc Electro-Plated Handle. Orange enamel finish. FOB Shipping Point. 30 x 22 x 22"30 22 22"